Hardwood floors never go out of style. They are beautiful and unique, but those who have them know that they can also be demanding. Since they are made from natural materials, they do get dull after a while and need polish to stay looking fresh. A quality liquid wax for your hardwood will keep the glossy look indefinitely, as long as you apply it every few months. Solid wax can be time-consuming, so liquid wax is a quicker alternative for those short on time. Although you have to apply it more often, each application will take less time. Once you’ve applied the wax everywhere it’s needed, just allow it to dry. Liquid wax comes with a solvent which will evaporate, leaving polish behind on your floor. 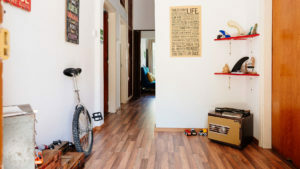 Most wood floor owners already know a bit about hardwood maintenance, but wear and tear still happens over the months and years. Even if you’ve had your hardwood for a long time, you can keep its surface glossy and shiny with the right liquid wax. These products come in many types and brands, which can make choosing one overwhelming. Here is our list of the best liquid wax products out there.